Reviewer Profile – Jodi R.
Our featured Reviewer for March 2017 was Jodi R.
I grew up in Lincoln, graduating from East High, UNL for my B.A. in Psychology with minors in Women’s Studies & English, teaching certification, and Masters in Curriculum/Instruction, and from Missouri University for my Masters in Information Sciences and Learning Technologies with an emphasis in Library Sciences. I grew up coming to Gere Library with my mom and sister, then riding bikes to Gere with my sister & neighborhood friends. 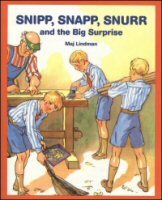 I loved reading the Snip, Snap, and Snurr and Flicka, Ricka, and Dicka picture books, then graduating into Encyclopedia Brown, Nancy Drew, and Anne of Green Gables books. I’ve been an active reader for most of my life. Richard Bach changed my life with Johnathon Livingston Seagull and Illusions, as did J.M. Barrie with Peter Pan, and Antoine de Saint-Exupéry with The Little Prince. Those are all books I read about once/year to stay grounded and remember matters of consequence. I think I read Ezra Jack Keats’ Peter’s Chair many, many times to adjust to having a little sister. Besides my parents role-modeling reading for me every day, I’ll always be grateful to Mrs. Stepp, the librarian at Holmes Elementary, for getting me out of class one day when my Scholastic Book Order didn’t arrive, and giving me the chance to pick any book in the school library that I’d like as a gift. The little library seemed to be the size of the one in Beauty & the Beast from my second-grade perspective. I don’t have the words to describe how important books are to me. They are my passport to travel outside of my physical location, and my connection to understanding other people. They are the first item I turn to for celebration in good times, and my stand-by for which I reach when I’m feeling discouraged or disheartened. I can’t imagine a day without reading. I am completely addicted to book lists, writing down in a notebook in my purse the lists that come from Book Riot and other sources, as well as the lists of nominations for the Man Booker Prize, American Library Association, Pulitzer, National Book Award, Andrew Carnegie Medal for Books of Excellence, etc. Reading for diversity is a passion for me, so as I see new releases come through the library, I put holds on the ones by favorite authors or from places or viewpoints that are new to my reading repertoire. I prefer reading books in print, though it’s an incredible privilege to be able to check out an Ebook for my Kindle over the internet during a snowstorm and/or in the night hours. I’m learning to read via Books on CD while driving to/from Omaha and audio books on my iPod while doing chores, though it’s a learning process for me to focus on the audio input. When I finish a book I’ve enjoyed thoroughly, the first thing I want to do is share the news with others so they can also enjoy it. The second thing I do is “cry” to my husband, “That was a ten/ten star book! Now what am I going to do? I’ll never find another book I enjoy that much!” The third thing I do is listen to my husband laugh and report he’s heard that many times already. Then I begin the excitement of selecting and beginning my next book. I’ve grown up as a patron of Lincoln City Libraries. I felt I’d reached the ideal age when I was old enough to surprise my parents by bringing home the gift of books I’d checked out for them based on their reading tastes. I wish everyone had the chance I had to grow up seeing my hard-working parents retire into their books as their dessert at the end of each day, because it always made me think of reading and library visits as the ultimate treats. I began working at Walt Library in January of 2015, on my mom’s birthday, which was fitting because she is such an inspiration for me in my reading life. After two months at that beautiful library, I transferred to Gere when a position became open because it’s close to my home and just a couple of blocks from my mom. I loved working with the Summer Outreach Program through the libraries within the city limits during the summer of 2015, and then outside the city and within the county during the summer of 2016. The Just Desserts Mystery Book Club that meets at South Library is a monthly highlight for me and my mom, as we love the discussions, the other people, and the round-robins in which we’re writing down suggestions of others about what we’ll enjoy reading. I also love the treat of visiting the Polley Music Library on the second floor of Bennett Martin Public Library after attending monthly Heritage Room board meetings in the building. I almost forgot to mention how much I love leading discussions of Irish authors in the spring and of Man Booker Prize nominations for the year in the fall, at both the Gere and the Bethany book talks. 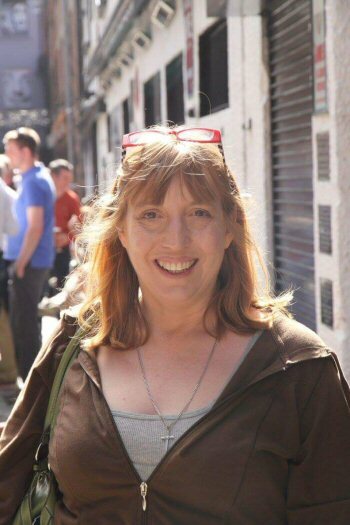 Since I have loved reading Irish authors for over thirty years, I experienced transcendental moments in May 2016 when I walked into the beautiful Long Room of Trinity College in Dublin, and walked through the William Butler Yeats exhibit at the International Library of Ireland, also in Dublin. During my thirteen years as an English teacher, I always loved helping students find a book they’d enjoy. It was rewarding every single time I heard someone say they hadn’t thought of themselves as a reader, but that changed when they found a book that interested them. Now I get to enjoy hearing from past students about what they’re reading, and recommending books to the young kindergarten, first-grade, and second-grade scholars at Nelson Mandela Elementary in Omaha. I follow Book Riot on Facebook, and enjoy the lists they publish of books pertaining to a specific interest or geological area. I’m also always looking up websites for different awards given to books, so I can stay current on when nominations and winners are announced. I love using GoodReads to track the reading I do individually and the books I read with my children. Reading chapter books with my three grandchildren is just around the corner, and I’ll be tracking and sharing those, too. Who knows, there might be a “book covers” quilt or scrapbook in the future to archive that special history I share with them. I also have a notebook in my purse of books I’ve read since 1997, since I often have friends (and even strangers at parent-teacher conferences) asking for a recommendation.